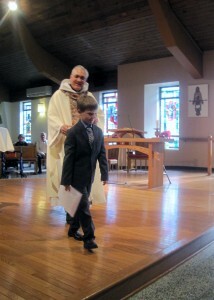 Preparation for First Eucharist (and First Reconciliation) is family based and begins in the 2nd grade year. 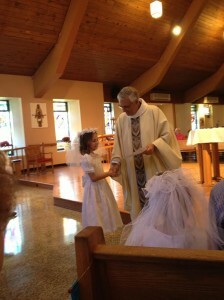 Children preparing for a sacrament should have completed at least one prior year of Faith Formation. For more information, contact Rachel Collet at smcff@nycap.rr.com. See the Faith Formation section of this website for more information on First Eucharist and First Reconciliation Preparation.